Don’t miss out on a fun mixer, similar to what we held in October, but with a seasonal twist. 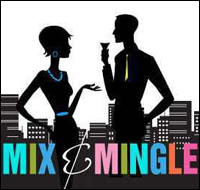 Register now for this mix and mingle event on Thursday, December 19th at 1:00 at Mayfield Village Civic Center. The fee is $2.00 per person and each person should bring a non-denominational, wrapped, white elephant gift (valued at $5 or less) to the event. Registration required at (216) 650-4029.